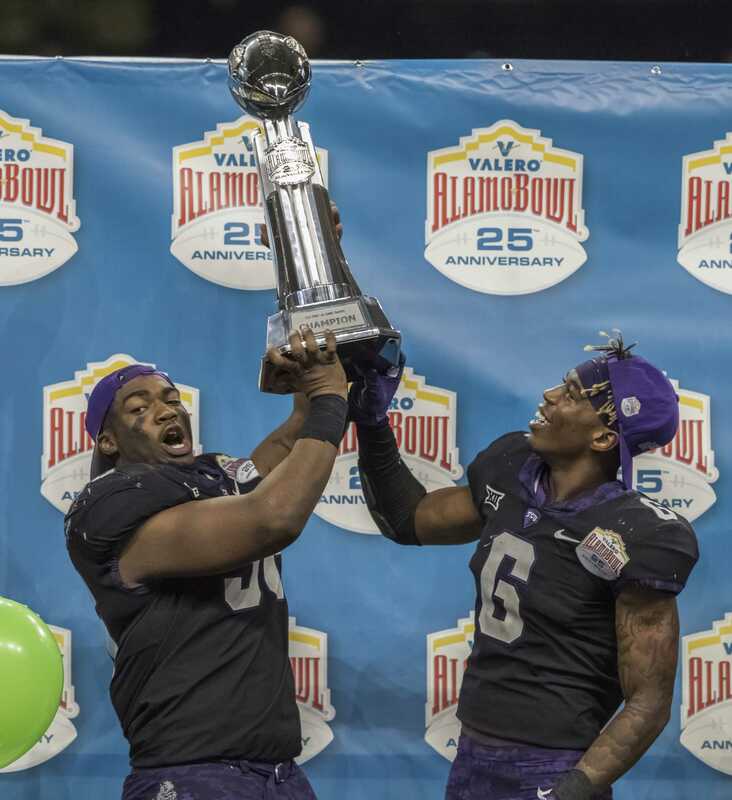 TCU’s Alamo Bowl comeback Jan. 2, 2016 goes down as one of the most unforgettable in bowl game history, and they return to the Alamo Bowl this year against Stanford. The Horned Frogs fell behind the Oregon Ducks 31-0 at halftime climbing all the way behind backup quarterback Bram Kohlhausen — making his first and last start in his TCU career — and winning 47-41 in three overtimes. It tied for the largest comeback in bowl history. “That was a crazy game,” Alamo Bowl Offensive MVP Bram Kohlhausen said. TCU set school records for points in a bowl game (47), yards in a bowl game (545), passing yards in a bowl game (371) and passing attempts in a bowl game (47). When it was all over, San Antonio was a sight of jubilation for the Horned Frogs. Kohlhausen’s 28 completions, 45 attempts and 351 passing yards are all TCU bowl game records. This year, the Horned Frogs face Pac-12 runner-up Stanford and their Heisman Trophy finalist, running back Bryce Love. “For this year’s team, I want them to start fast so they don’t have to come back from 31 points,” Kohlhausen said. As for what TCU needs to do to start fast, Kohlhausen said it’s pretty simple. Kohlhausen also dismissed the notion that TCU will show up flat. With current TCU quarterback Kenny Hill starting the final game of his college career Dec. 28, Kohlhausen has some advice for the Horned Frog signal-caller. Kohlhausen said he has no doubt that Hill could break all of his bowl game records, and his prediction for the game says it all. 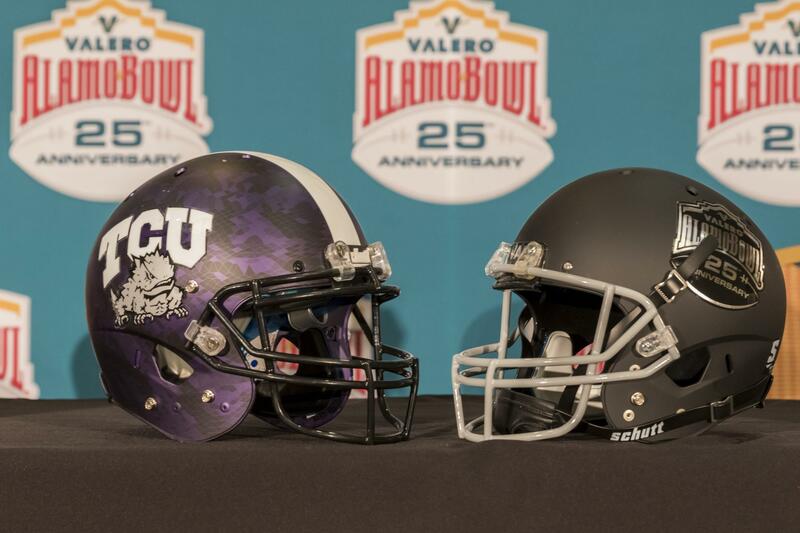 Kickoff for TCU and Stanford at the Alamo Bowl is set for 8 p.m. in San Antonio.